I have told you a lot about my trip to Italy, but I haven’t gotten into the details of what it was like traveling abroad with an ostomy. I was a little nervous beforehand because, even though I have flown a few times, they have mostly been short flights and were all within the US and I knew in Italy that toilets and such might not be the same as what I am used to here. And I know things are very different in other countries, but this was my experience in Italy. Our flight to Italy was around 8 hours and we were given two meals and a snack on it, so I knew I would have to empty it at least once on the trip over. I tried the first time to use the bag suggestion I had received when I first posted about flying with an ostomy. I have to be honest, it was not as easy as I thought it would be. I used one of the opaque trash bags that I get with my ostomy bags each time I order. I tried tucking it into my waistband, but knew I would not be able to rely on that supporting it once it got heavy. Basically, I really needed a third hand: one to hold to trash bag and two more to empty the pouch. Plus, since the output was going into the trash bag, it was hard to empty the bag without getting stuff on it. It was a mess. The next time, I did what I usually do with new toilets and put down some toilet paper to empty onto and it flushed just fine with that. Once it didn’t flush all of it, but was good after a second flush. If emptying your pouch into a trash bag works for you, I say ‘go for it,’ but it did not work very well for me. 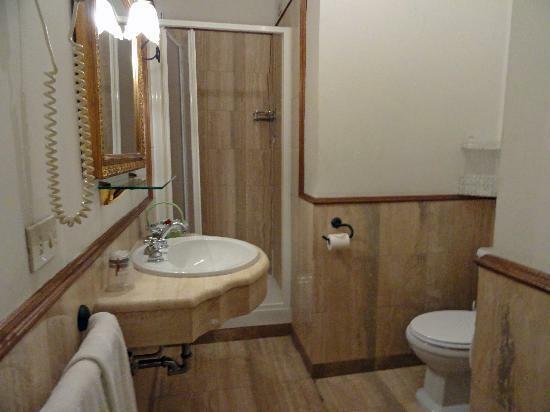 I was pleasantly surprised to find that the toilets in Italy are not much different from the toilets we have here, the water level was just a bit lower. Again, I just laid down some toilet paper before emptying and I never had a problem. What I like to refer to as the “flush force” was on par to what I am used to. There were several times that I was very thankful to have an ostomy, because honestly, I’m not sure how it would have gone without it. Most of the day we were out walking around, usually at least 20 minutes away from the hotel. It is not easy to find a public restroom in Italy, in fact, I remember coming across one in a store that was available and another that you had to pay over $2 just to use. But not once did I have to return to the room simply to use the bathroom. Staying hydrated was a little difficult, since you don’t have constant access to water fountains and things like that. Plus, it’s Italy so there is a lot of wine being drunk, which isn’t be best for hydration. They also like to charge you about $5 for a bottle of water at dinner, so I started finding small corner stores with water for sale and would pick up a liter and a half of water for about $2 and would carry that around with me most of the day. The one mistake I made was ordering risotto for a meal… but it was so good! But I do know better that to eat that amount of rice and it blocked me up for a little while afterwards. Thankfully, it did not cause a leak or anything like that, just a little nausea and stomach pain. I picked up another bottle of water around this time and did OK after that! I did have a few issues our last couple of days in Italy. Probably twice during the day I would get some pretty intense stomach cramps. It felt like I was really gassy inside and I couldn’t pinpoint it to anything weird that I ate. It would last about a half-hour, but got to the point where we had to quit what we were doing and go find a place to sit down. I did worry me that I could be having some sort of bad reaction to something or that my Crohn’s was becoming active. I was very relieved when my ileoscopy came back completely clean. All I can think is that I don’t usually eat a lot of carbs and try to keep my pasta and bread intake to a minimum, so perhaps my body was just having trouble dealing with pasta-overload. I mean, I had been eating pasta for almost every meal for a week at this point (and wine… a lot of wine, too). But that was it, just a couple of hours of discomfort, but no blockage issues or anything after that. I only changed my bag once while I was there. (Thankfully!) And it was an easy change and nothing different from when I have changed my bag while being out-of-town around here. I made sure I had an insane number of extra bags with me, though. I even called my supplier a few weeks beforehand to have them double my usual order and ship it a little early to make sure I got it in time. As I said, it wasn’t needed on this particular trip, but I was glad to have it. In the end, it was a fairly quiet trip ostomy-wise. No major crisis or mishap, but some adjustments that had to be made. I am so glad I had the opportunity to take this trip when I did not have to deal with the worry of having to suddenly go to the bathroom and where I was going to find one. It would have been a very different trip without my ostomy. What has your experience been doing major travel with an ostomy? Have you run into any issues? 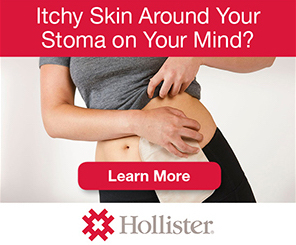 Or seen ways that having an ostomy was easier than you thought? Any other questions I didn’t cover? This entry was posted in Italy Trip, Ostomy, Out of the Bag, Stolen Colon and tagged colon, colon bag, health, IBD, ibd blog, ileostomy, ileostomy bag, ileostomy blog, life, ostomy bag, ostomy blog, travel on June 3, 2014 by Stephanie Hughes. This is so good to hear! I was shellshocked after not being able to flush on the plane but your experience makes me feel like maybe I could try it again. So happy this all went well for you! I hadn’t the nerve 2 travel for YEARS until this summer when we went to Florida & Maryland. I sent the hotel my ostomy items that I would need b4 hand and carried 3 changes with me on the plane just in case. Visited family in The Netherlands summer of 2013 (with a day in Iceland) and going again over this Christmas break. Other than a few extra trips to the bathroom on the long flight it was really uneventful. Hoping the upcoming trip will be the same. My first trip was to Cancon,Mexico . I used disposable bags so I wouldn’t have to worry about emptying a bag. Everything was assume, got to swim in ocean and do any activity there was. The second day I had diarrhea, was running to change my bag often, not fun. I did get some pills and resumed my vacation.